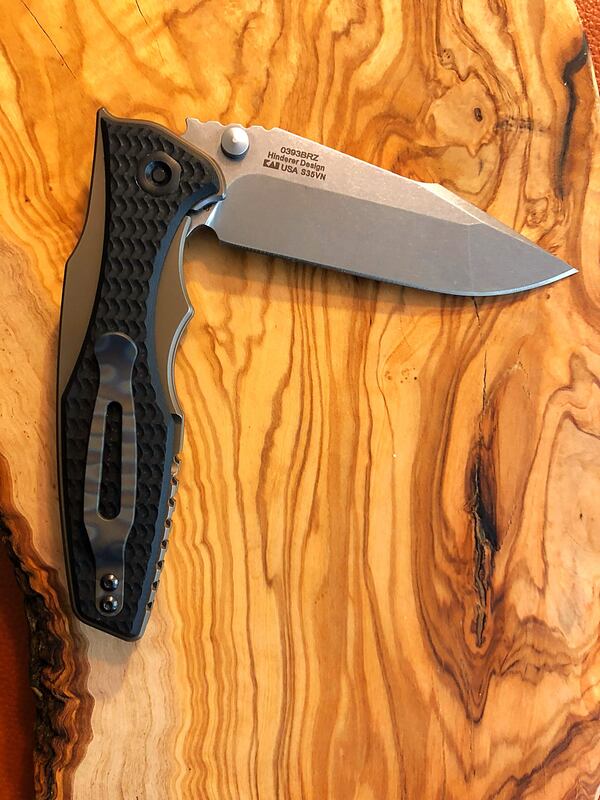 Discussion in 'General Knife Discussion' started by thecigarguy, Jun 9, 2018. 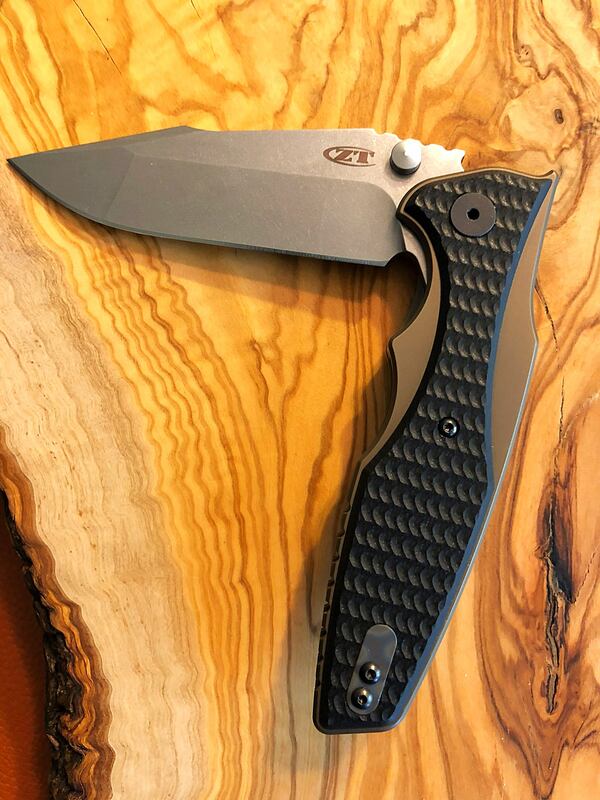 Have a ZT 0393 and thinking about anodizing it. What pieces can be anodized? Just the scales or are the factory provided filler tab, pocket clip and pivot screw all titanium as well? Thanks for your help. Thinking of a green color. I put a flamed hinderer clip and filler tab on my Bronze 393 sprint run and love it!! BigKurtHaze and thecigarguy like this. What about the pivot screw? Is that replaceable or anodizable? Otto Carpenter and TheFactor like this. This will give you an idea of what's being done. That’s one of many things I love about these 393’s is they except hinderer hardware and to me you can’t beat a factory finish . Hey, boon, is the coating DLC or just paint? Did you use a fine grit sandpaper to strip the clip and tab? I would say it was paint, I used a media/sand blaster to strip both clean of it. I tried stripping DLC (ZT 0562 Screws) and that didn't work at all with the blaster, the 0393 Clip/Tab came off with it very easily and looked more like paint coming off. It sure looks like paint and yours looks better stripped of it. I don't have a sand blaster but I was thinking of doing the same. 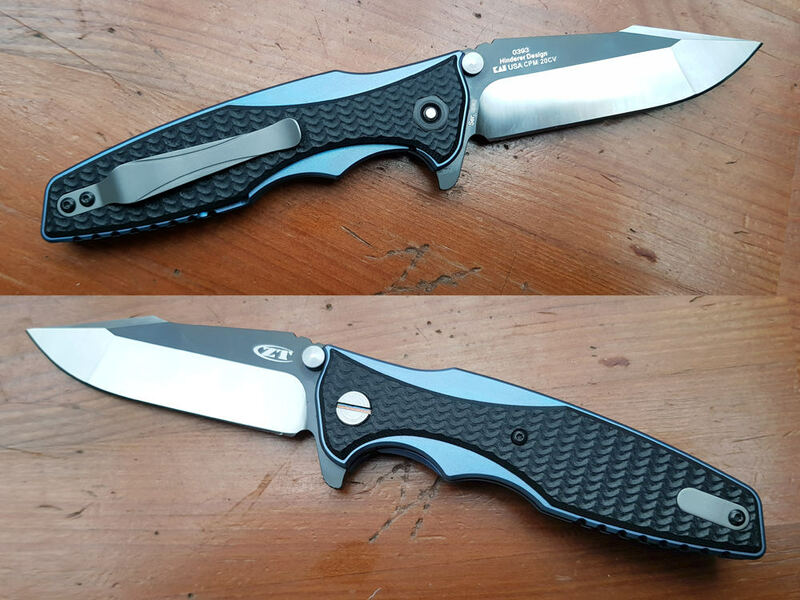 I saw one modder strip the clip, tab and pivot assembly and it added a nice accent to the overall appearance. He took it one step further and took the blue ano off so he ended up with a sort of "working finish." It looked good. Thanks for the reply. No problem, looking at how it came off it shouldn't be too elbow grease intense with some sandpaper. 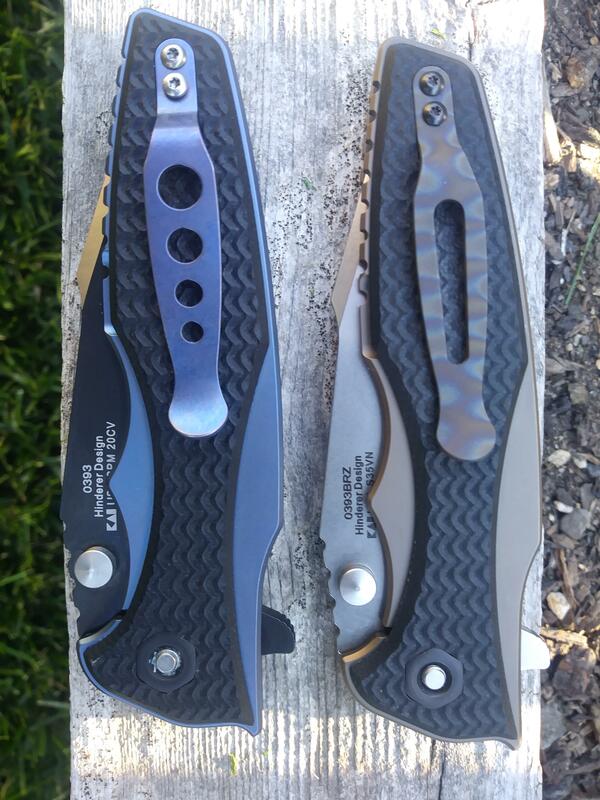 I modded both of mine with the Hinderer hardware,DLT trading usually has a good selection. 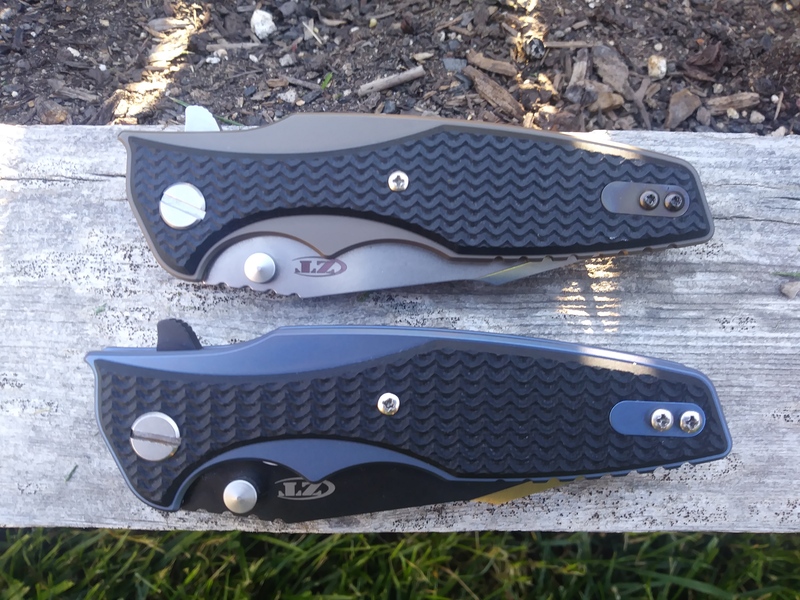 They look great, but Hinderer hardware is priced beyond what I was comfortable with. $80 for a clip/tab and pivot screw (as you know). Does make the overall look nicer, though. What Hinderer pivot screws are compatible?thinking of getting one want to make sure I order the right one. Thanks! DLT is a great place to buy from.